My name is Eric Getchell and I have been part of the Precision Import Repair family since 1989, with Precision Import Repair opening in 1964. Working on cars and motorcycles has been a hobby of mine for as long as I can remember. 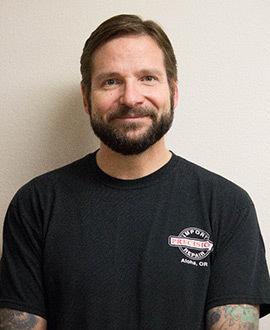 After serving 4 years in the Marines and working on C-130's, I started working on motor homes and coaches for several years, then began my time at Precision Import Repair. We are affiliated with the Automotive Service Association, employ ASE Certified Technicians, DEQ, AAA and Eco Certified with the state of Oregon. We have a 3 year/36,000 mile warranty guaranteed to keep you on the road. All of our employees have a love for cars and bikes and we treat out customers the way we like to be treated. Bring your vehicle by our shop for the best service in our area! Precision Import Repair, Inc. was established in 1964. Specializing in Japanese Auto Repair & Services — But we work on most makes and models. We now have a 3-year 36,000 mile warranty, also we are an ASE certified, DEQ certified repair facility. ECO certified with the state of Oregon. And a AAA repair facility. We also give local rides and a loaner car, Night drop box so you can drop your vehicle off any time. 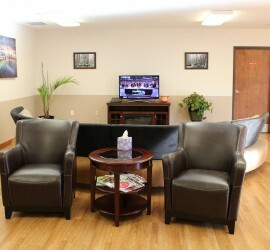 We also offer free Wi-Fi and a comfortable waiting room. So for all your repair and service needs call us today!